Although the weather didn’t permit me to travel to my intended start point for the voyage at the source of the Ganges further North at Gangotri this bridge in some ways became my own pilgrimage site for the journey. 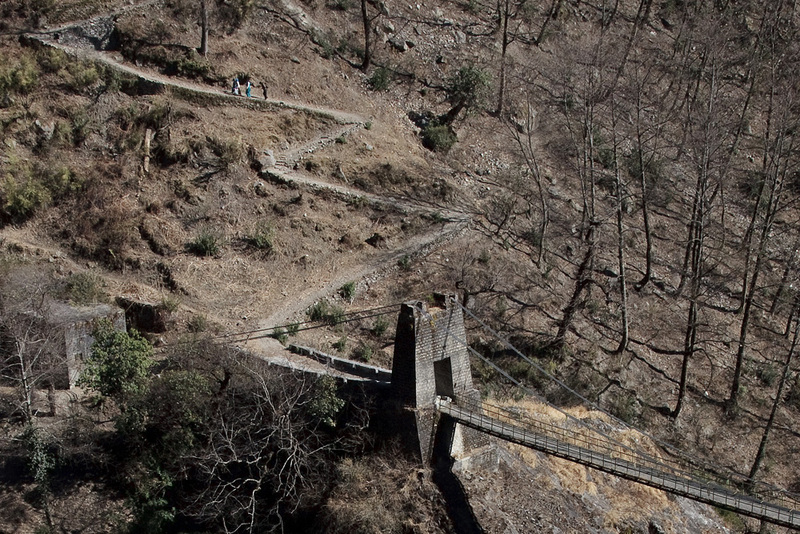 On the way up to Jhala along the Gangotri road the week previously I’d noticed this bridge crossing the deep valley and had made a mental note to photograph it on the way back from my stay in the North. 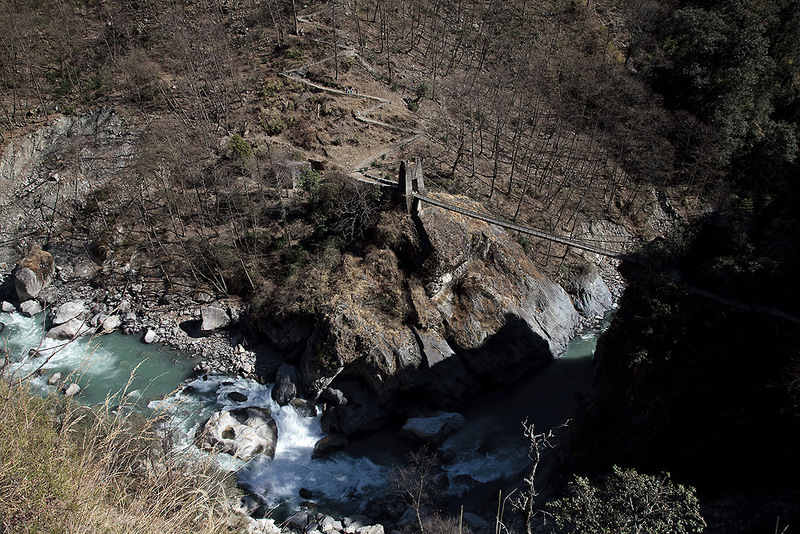 When we finally managed to leave Jhala after our longer than intended stay I saw the same bridge again on our way back down the Gangotri road away from the snow and towards civilisation. When we passed it I was suddenly reminded of our journey North before we found ourselves snow bound and incarcerated in Jhala for six days and nights, it felt like it had been a lifetime ago. After my first nights stay in the guesthouse in Uttarkashi enjoying my first hot shower/good meal/change of clothes in six days I felt like a new man and organised a driver to take me back up North along the Gangotri road to finally photograph this bridge. After the three hour drive to get there I found that the light was not kind throwing one half of the valley into deep shadow which meant unfortunately I wasn’t able to capture the scene as I’d intended. But saying that I was aware that the last two times I’d seen this bridge were either side of the toughest six days of my life and today I would be returning to a comfortable and relatively warm guest house far from the snow and this definitely put things in perspective. 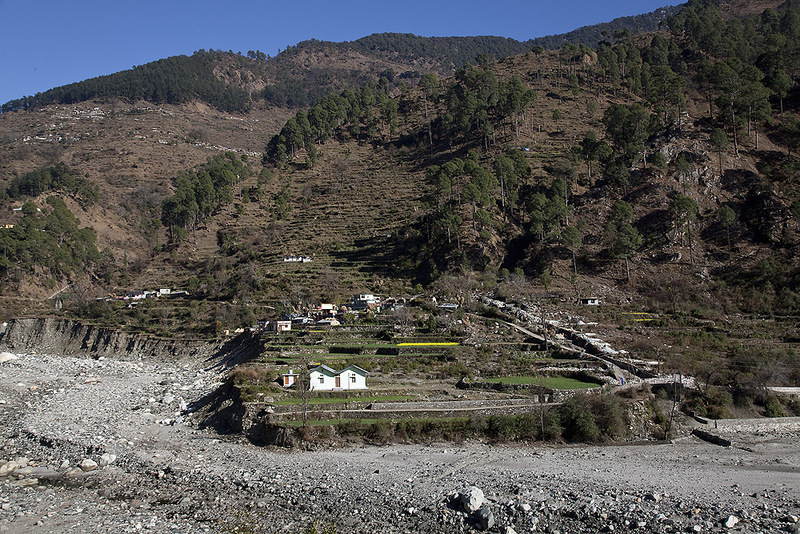 As we drove back to Uttarkashi I also became aware of the power of this river when in flood. Great boulders had been deposited on the river bed carried downstream and areas of the river bank had been sheared away by the powerful flow of the river. 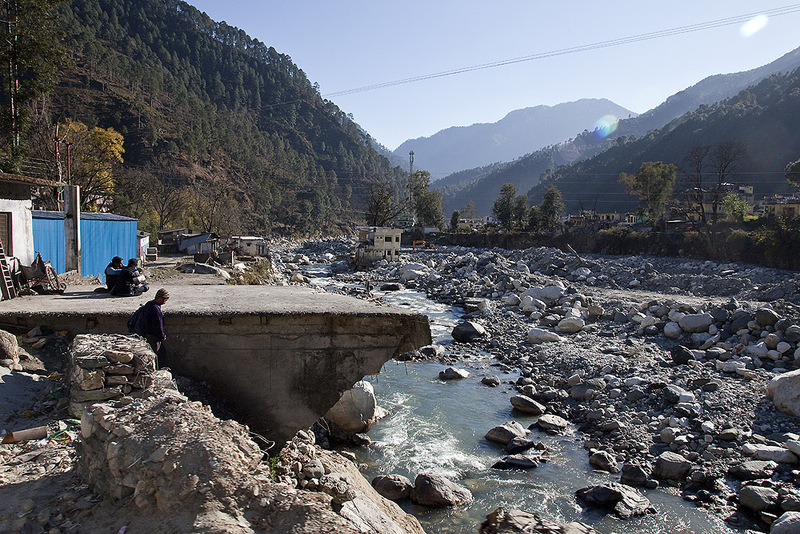 Indeed just outside Uttarkashi there were areas where bridges had been swept away and houses had been swept off their foundations and carried into the centre of the river. 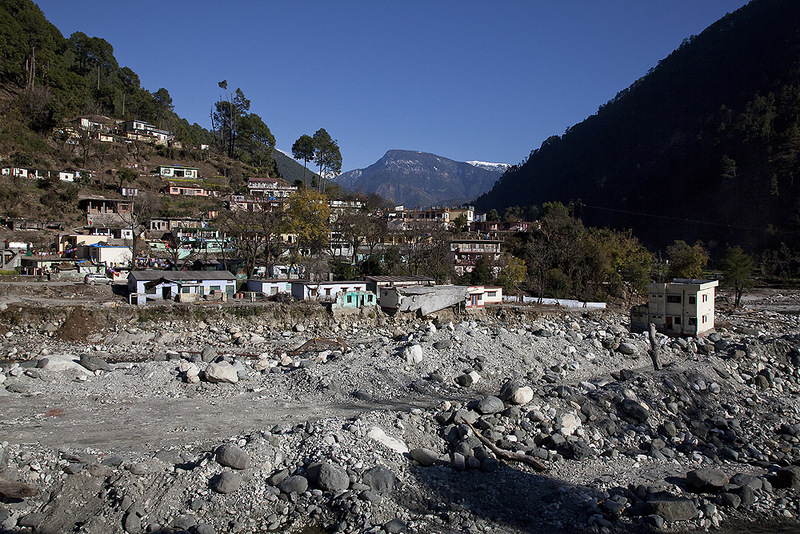 More of this destruction caused by the river was to be witnessed in Uttarkashi over the next few days.